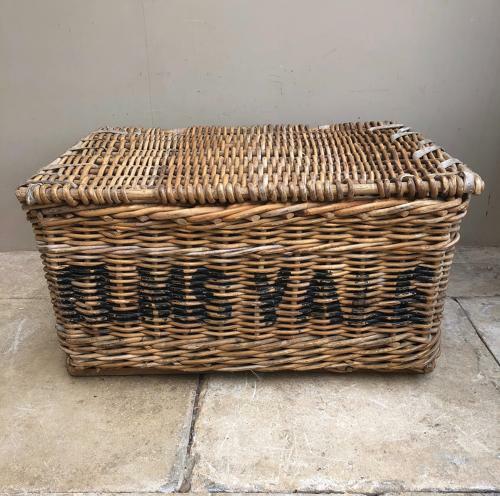 Lovely condition Early 20th Century Laundry Basket from ELMS VALE Laundry in Dover. Leather bound. Wooden slats to the base for extra support. Good and sturdy. Perfect for storage...toy box etc.